Port Town Websites specializes in developing attractive and functional websites for small businesses, organizations, charities and individuals. 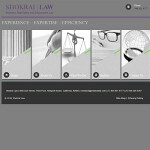 Our sites cover everything from simple company introductions to complex company sites to blogs. Port Town understands the need to distinguish between long-term and short-term goals. Some tasks need to be achieved quickly and efficiently, with a self-sustaining relevance. Other tasks require regular maintenance to remain up-to-date and accurate in regard to your business’s mission and ever-growing identity. As you set your long- and short-term goals for your business, Port Town Websites will help you prepare a plan to attain both. 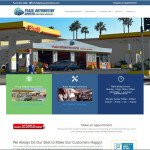 Port Town Websites is based in San Pedro, California, though our services have been utilized nationally. 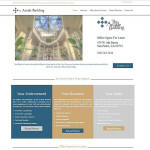 We have been developing websites commercially since 1998. We take pride in the fact that we are growing, learning, and expanding as rapidly and drastically as the internet itself. 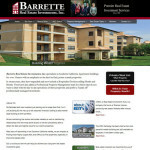 Large site or small, Port Town Websites can design and develop the online presence that you need! 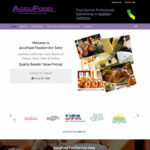 At Port Town Websites, we are not one-size-fits-all web designers. 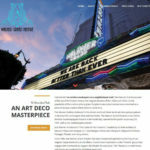 We know that your website should be as unique and impressive as your business. All sites should be organized and user-friendly, but those traits can come in many different forms. 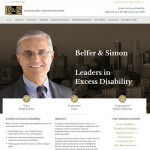 Some organizations may benefit from the sleek ease of a one-page site. Some businesses have a great deal of information to share and require more thorough and complex sites. Your web developer should be knowledgeable of the culture of both your business and the internet, so you can feel comfortable with their judgment, while still being attentive and understanding enough to give you exactly what you want. That is the promise we at Port Town make to every single client. For our projects use a wide variety of professionals. Below are the main team members. Jill Fox is an award winning website developer with over 15 years experience in the design and implementation of websites. She has been working with WordPress and Drupal for 5 years. She is a creative problem solver who applies technical skills and business knowledge to every project. Sheri has extensive experience in facilitation of design and development projects in business and technical communities, combined with marketing and operational management. She has worked with startups and mid-range companies in a variety of fields, professional services firms including law firms and accounting firms, to define their marketplace, create a specific strategy and identify required resources. Daylene has been implementing WordPress websites for over 5 years. She makes full use of her excellent organizational skills to build new sites and update existing sites. She is also proficient at proofreading the websites and has strong documentation skills.